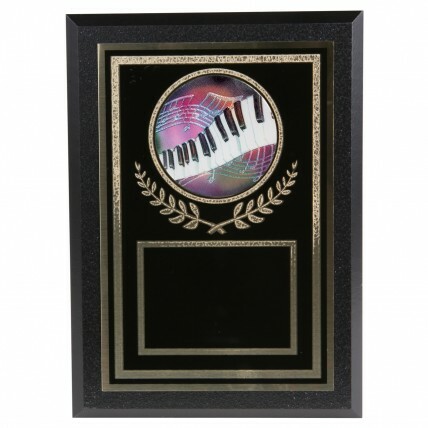 Award Colorful Piano Keys Plaques to your favorite performers! Measuring 7 inches tall by 5 inches wide, these black simulated wood plaques feature a black brass plate with gold accents and a Florentine border. The middle showcases a holographic image of rainbow musical notes and piano keys.